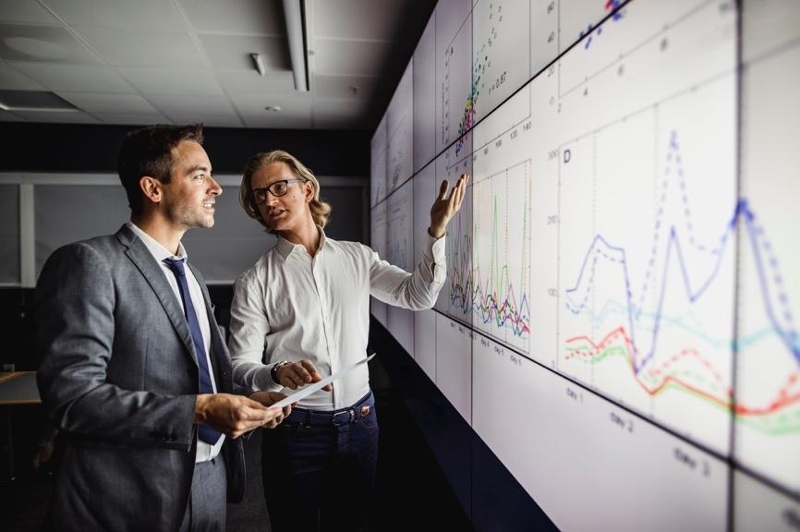 Companies need professionals who are both well-versed in data analytics and possess business acumen — driven leaders who can layer those skills to provide the smartest possible insights. USD’s STEM-certified Master’s in Business Analytics is designed to empower you to meet this intensifying need. Through experiential learning in San Diego and abroad, you will gain a holistic understanding of what is possible when you are equipped to unearth the insights that business analytics can offer. To create a program that prepares you to succeed, USD faculty members worked closely with business leaders and developed a curriculum based on their feedback to ensure you are career-ready the day you graduate. The resulting curriculum comprises courses designed specifically for our Master’s in Business Analytics program, including courses in analytics programming, data mining, data management, and interactive data visualization. 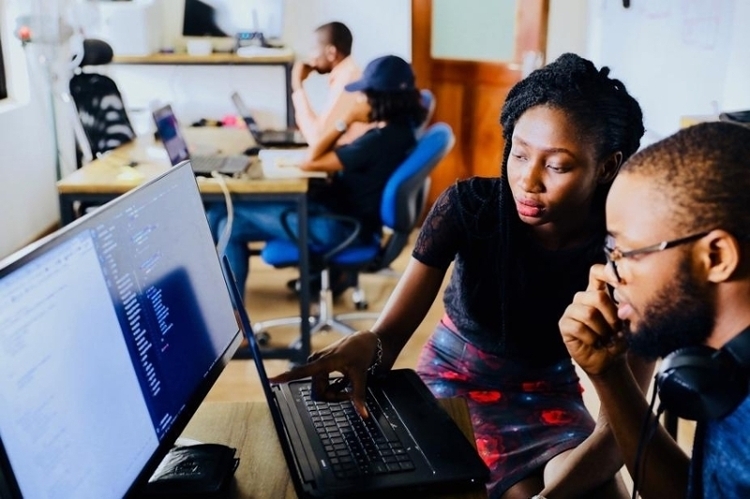 Organizations are increasingly realizing that applying data science is not enough—they need business analytics professionals who speak the language of data with fluency and can communicate easily with both data scientists and management, programmers and clients. USD's Master’s in Business Analytics equips you to be that person. Through hands-on courses and two external project-based courses, you will learn how to apply analytics tools such as Python, SQL, Tableau, and IBM SPSS Modeler as well as effective technical communication skills. You will know how to use data to help organizations make better data-driven decisions and solve complex problems—whether by helping a business run more efficiently, showing a municipal government how it can reduce its environmental waste or guiding a nonprofit such as the Red Cross toward new operations that broaden its impact. 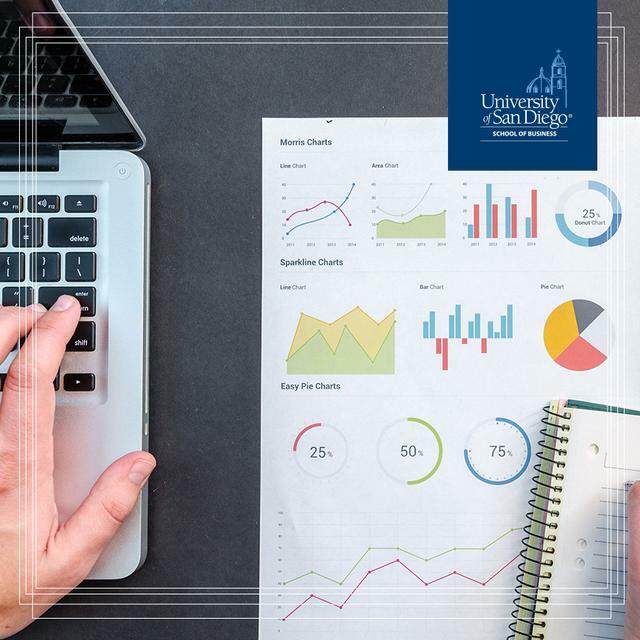 Through courses such as Data for Social Good, you will learn how to wield data to make a positive impact in society—a unique aspect of the USD Master’s in Business Analytics program. To solve complex problems, companies and organizations need individuals who know how to ask the right questions. USD’s Master’s in Business Analytics equips you to be that person. Speaking the language of business analytics is a set of skills that can supplement your existing expertise or career experience, regardless of your industry. The degree allows you to solve problems within your chosen field using a new data-driven mindset to make better business decisions—a skill that is growing in demand with each passing day. You will be able to apply these skills whether you choose to shift your career to an analytical role within an organization or simply want to solve problems in your current role using a data-driven approach. Never before has there been such a pressing need for professionals who can translate information to both analytics specialists and business leaders and assume responsibility for ensuring that data analytics tools deliver on their full potential. 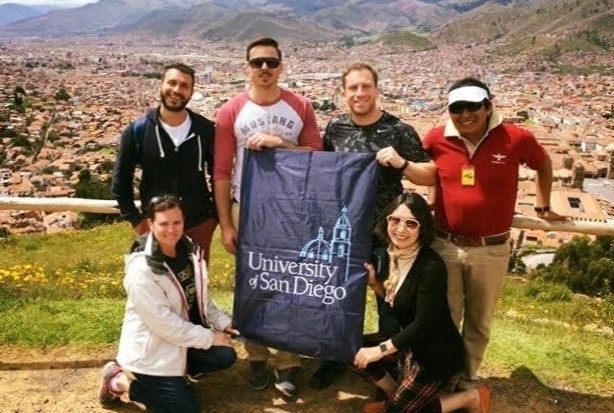 Whether you choose to bring the skills you gain from USD’s Master’s in Business Analytics to a job in a private corporation, the world of government and public administration, or the nonprofit sphere, you will reap the rewards that come with making new things possible in your organization. Ready to add "analytics" to your resume? Visit our admissions page to get started. Use big data to solve even bigger problems. With a curriculum specifically designed to train business leaders, our students learn to make data-based decisions that are rooted in corporate and social responsibility while maximizing profits. Merging business data with technology. 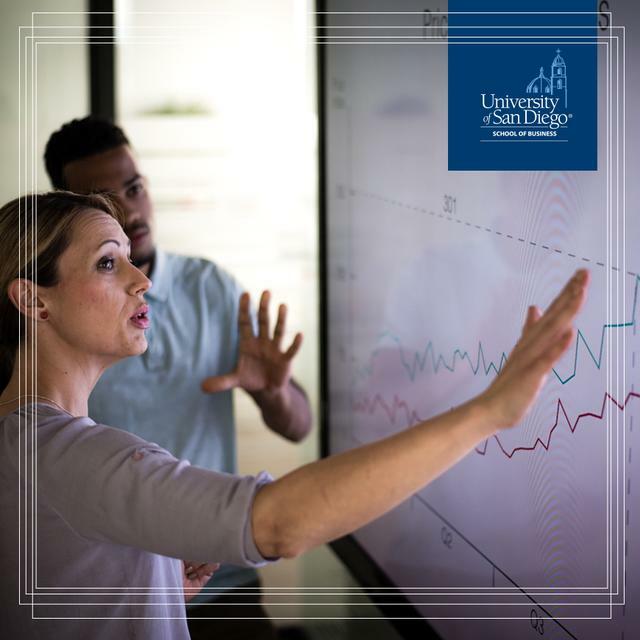 Discover how USD’s STEM-certified Master’s in Business Analytics program can position you to become the bridge between new technologies and business applications yet to be discovered. The international language of business analytics. Master’s in Business Analytics students have the opportunity to work on an international consulting project with a global company at their local headquarters or offices abroad.